Beer company United States Beverage announced this week two new partnership deals with Empire Brewing and 1911 Established. United States Beverage will handle sales for Empire Brewing in the U.S. The brewery was founded in 1994 in Syracuse, New York, and has partnered with United States Beverage to “increase their visibility, and grow Empire throughout the Northeast,” the company says in a press release. Last June, Empire opened a 60-barrel farm brewery and tasting room in Cazenovia, New York. The new brewery enabled Empire to bottle their ales and lagers. Previously Empire brews were only available in draught. Empire began selling six-packs in June. Empire will continue to cover their upstate NY business directly, while United States Beverage handles all sales outside of the area. 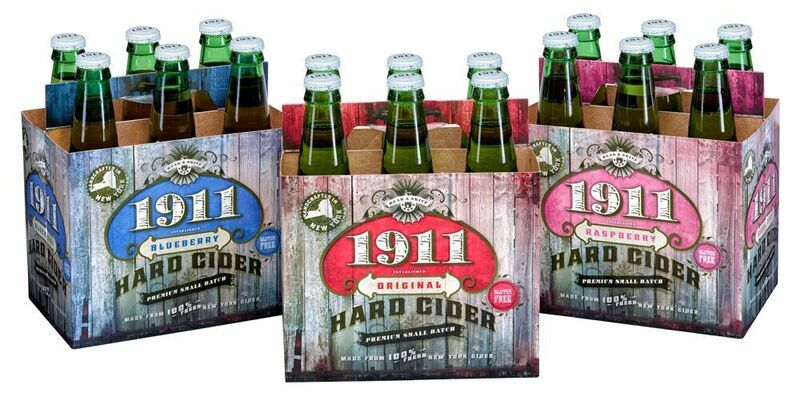 United States Beverage will also manage sales and distributor relationships for the craft cider brand 1911 Established, based in central New York. 1911 Established was formed in early 2013 as a division of Beak & Skiff Apple Orchards. Located on just under 1,000 acres in Lafayette, NY the orchards surrounding the 1911 cider house contain over 350,000 apple trees. “Our partnership with United States Beverage will allow us to achieve new heights,” says Eddie Brennan, co-owner, of 1911 Established. Currently, 1911 Established Hard Cider is distributed in New York, New Jersey and Pennsylvania. 1911 will continue to cover their upstate NY business directly, while United States Beverage handles all other sales.